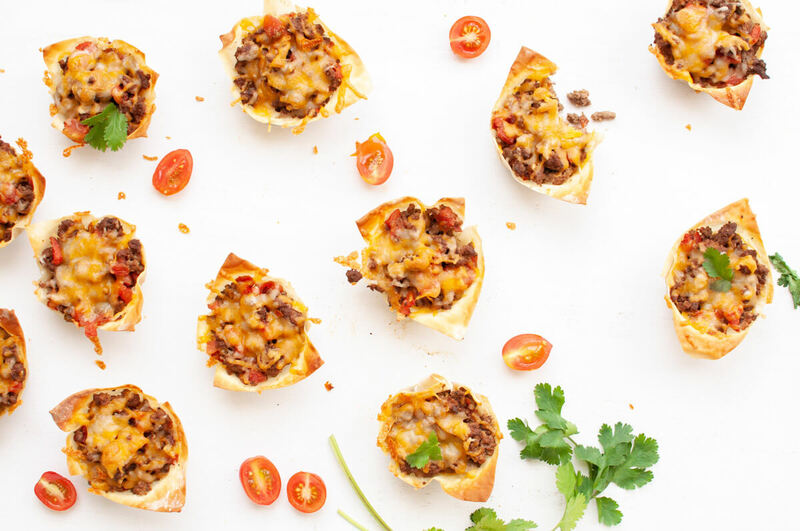 For a fun twist on traditional tacos, try these Mini Tacos Cups. 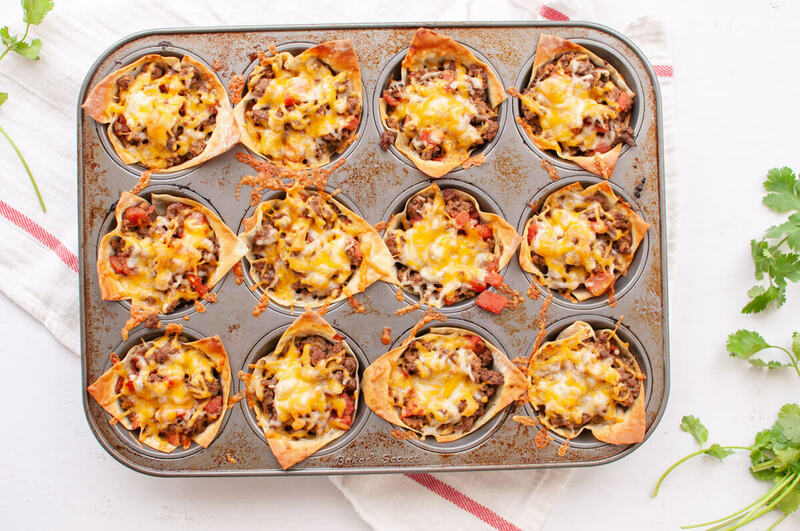 They’re a family-favorite recipe featuring lean beef, cheese and your favorite toppings. This blog post is sponsored in partnership by Beef. It’s What’s for Dinner, on behalf of the Beef Checkoff. I’m excited to share one of my family’s favorite beef recipes and as always, all thoughts and opinions are my own. I love an excuse to make dinner (and dinner prep!) 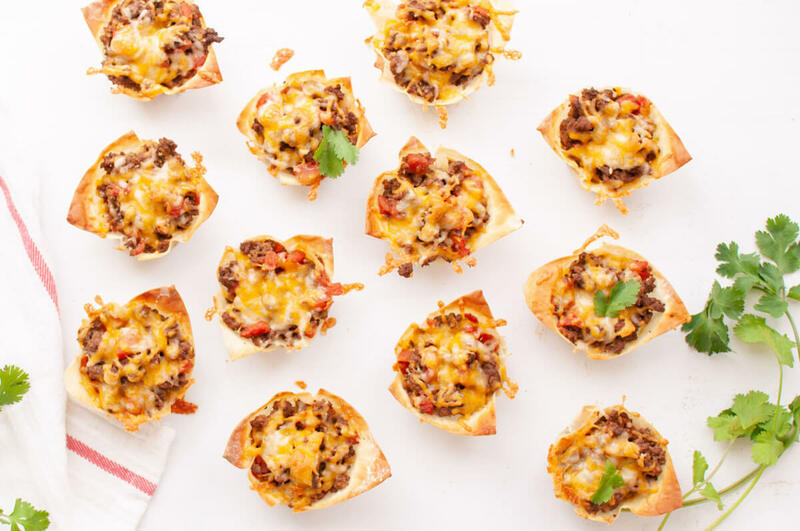 fun, so when I had the chance to plan a fun Taco Tuesday night for my family, I knew Mini Taco Cups would be a huge hit. My crew loves any recipe that they can customize at the table. 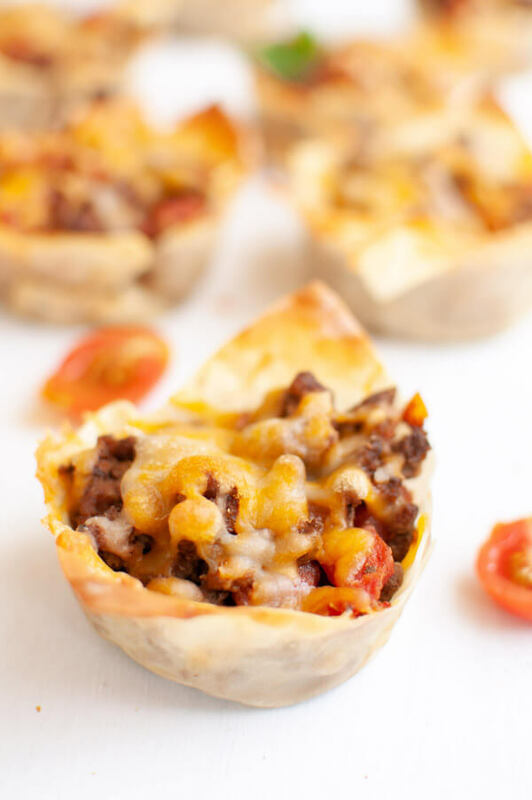 These taco cups allow you to load up on the ingredients you love and skip the ones you aren’t crazy about. When I’ve made traditional tacos, my girls have skipped the diced raw onion, but loved adding avocado, salsa, and even guacamole. 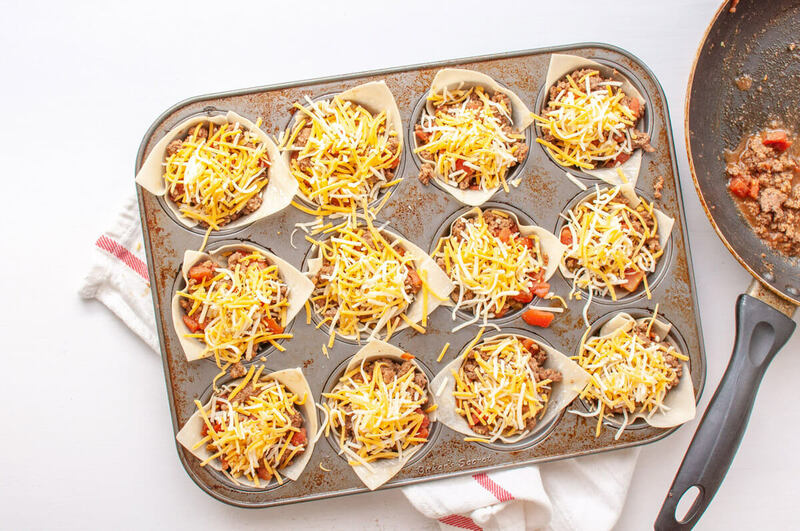 (I’m betting they’ll do the same with taco cups too!) 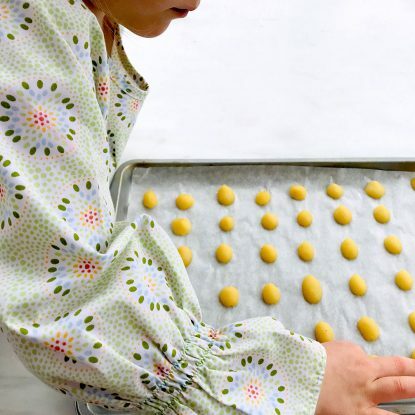 And I love that this easy recipe comes together in less than 30 minutes. 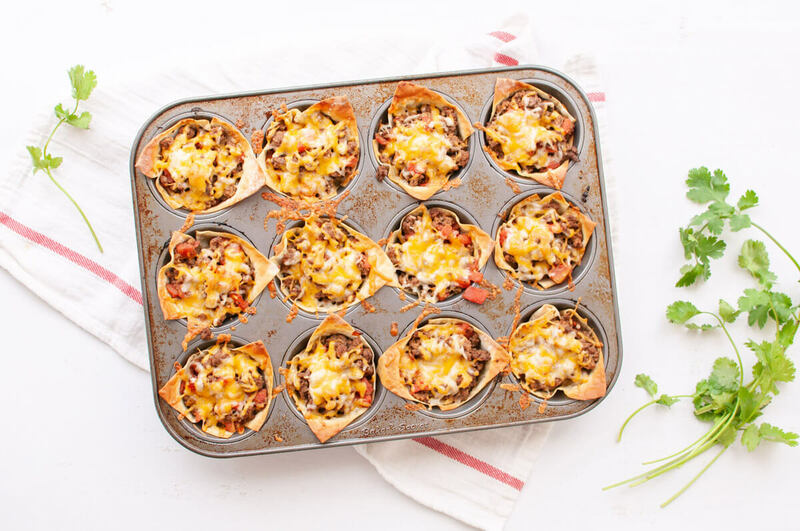 It’s also a great make-ahead option for ballpark nights—just prep the taco mixture ahead of time, then when you’re ready to eat, fill the wonton cups and bake. 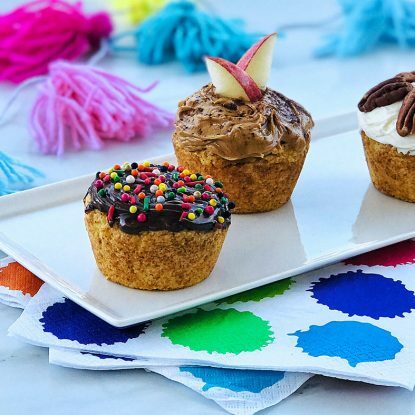 This recipe has some low-key dicing that goes along with it, which is the perfect excuse to get the girls into the kitchen and practice our chopping skills. (By the way, if you’re looking for kid-friendly knives, check out my favorite.) It also gives me the chance to talk to them about what we’re eating and why. I find that one key point will always stick with them, so for this recipe I’m picking the mantra that the protein in beef helps to make them strong. In fact, growing children need high-quality protein, iron, zinc, and vitamins B6 and B12—all essential for their growth and development. For me, beef is an easy choice. It’s my go-to protein when I want to give my family big flavor and essential nutrients. 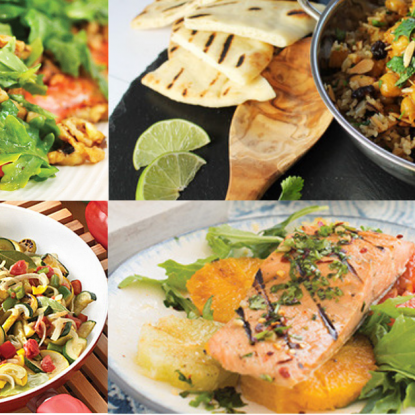 Plus, it’s delicious, versatile and has so many lean options. 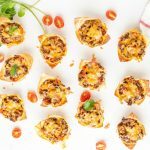 I can’t wait to surprise my girls with this fun recipe for our favorite, Taco Tuesday! 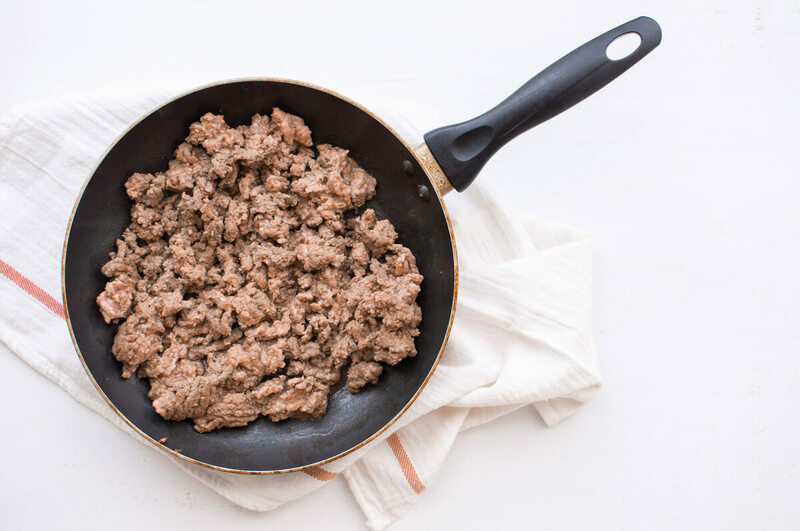 Cook ground beef in a large skillet over medium-high heat until browned. Stir in diced tomatoes with green chilies then add chili powder, cumin, salt and pepper and stir to combine. 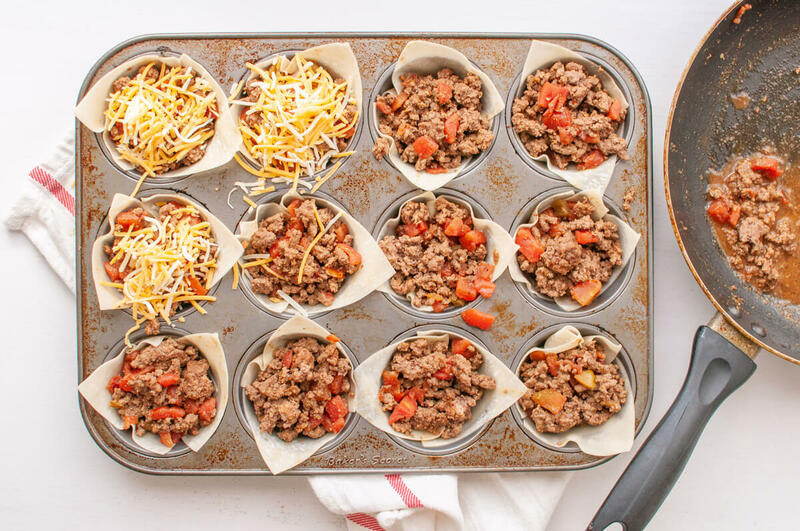 While the beef cooks, spray 12 muffin cups with cooking spray. 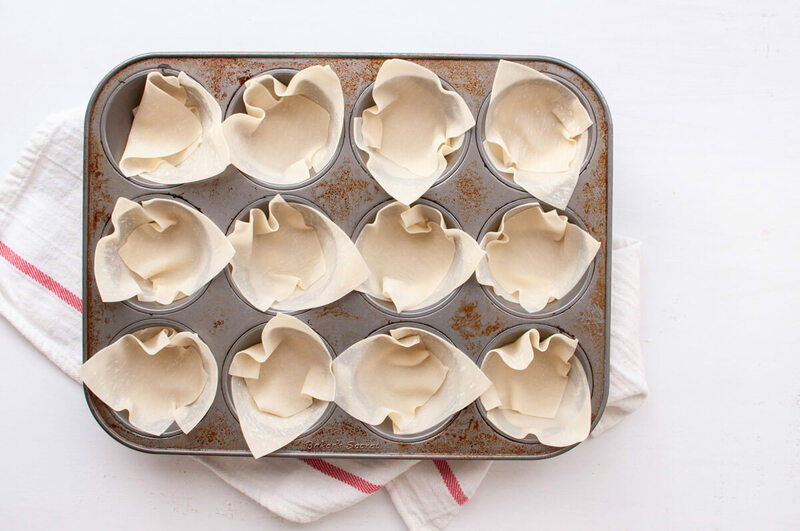 Line each muffin cup with two wonton wrappers then fill with 3 tablespoons of beef mixture. Top each cup with 1 tablespoon cheese. Bake at 375F for 10-13 minutes or until wontons are golden brown and cheese has melted. Top with your favorite toppings.